No single book is a magic bullet to perfect dog ownership. You always need a few different sources to get the full picture on any topic. There are some really good books out there about dog ownership, though. I’ve got a few I’d like to suggest to you as essential dog reading that will add something magical, informative, or new to your current experience with dogs. All of our picks will add something to your understanding of how your pooch works, but our pick for absolutely must-have is the Original Dog Bible. It covers absolutely everything a good pet parent needs to know, and some facts that are just nice to have in your back pocket. Most of these books are dog training books or dog behavior books that teach us about dog psychology, but I have a few fun surprises tucked in that I think you’ll find really special. Let’s have a quick, slightly-modified-for-the-internet, dog book club! This is really essential reading for anyone with or ready to adopt a new puppy. There’s lots of information on how to care for your new puppy, as well as how to choose the best puppy for you. It’s also one of the most recommended puppy training books, so it really is all about every aspect of puppy ownership. It’s probably a good idea to pick this one up before you even decide which type of puppy you want. The approach is also very sweet. The author guides readers through the development of a litter of German Shepard puppies to illustrate the methods and thoughts presented in the book. It lends an air of storytelling to what could otherwise be dry text. I ask you: who doesn’t have time to get to know a litter of puppies!? Cesar Milan is a controversial figure. If you don’t like his style, feel free to skip this one. Or, have a lively debate in the comments section- that’s what it’s there for after all! I’ve included this on my list because, regardless of how you feel about Milan’s training techniques, I believe his insight into dog psychology and behavior is very worthwhile. This man bonds to dogs in such a complete way, it earned him the title Dog Whisperer, for gosh sakes. Take him with a grain of salt if you will, but I’m interested in what he has to say. His take on puppies and dog development is especially interesting. 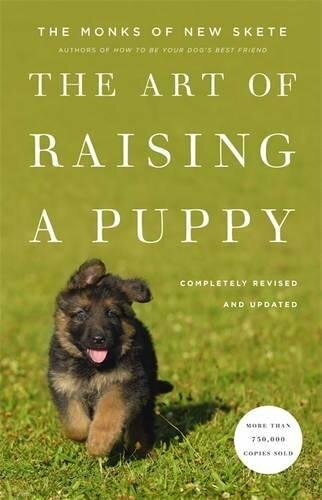 There are tips and methods in this book that can help you raise your puppy right in the first place so you need less correction later in life. You may find his techniques work great in your home, or you may modify them to suit your dog. Either way, more knowledge is always a good thing. You do brain teasers to stay sharp or while away the time. Your dog could use some too! This book is totally brilliant if you ask me. I love the whole premise, and keeping dogs occupied is one of the main concerns of dog owners. This is especially true for anyone who lives in an apartment with a dog or is short on time at home. Many of these exercises are easy to implement and some can keep your dog busy while you’re gone. 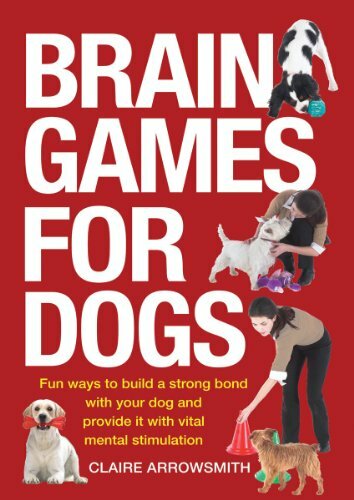 Adding some brain games into your daily doggie routine will provide a lot of mental stimulation which is great for breeds like terriers, collies, and really any working dog. High energy dogs can really benefit from these games as well. Dogs have two kinds of energy: mental and physical. You have to exercise both to keep your dog in optimum shape. Let’s get this written in stone: negative reinforcement is medieval. If you really want to inspire good behavior in your dog, you can’t use it. It’s positivity all the way. That’s somehow poetic itself, isn’t it? That our dogs would teach us to be more positive while we teach them to stop peeing in the parlor? This book is a comprehensive training guide with step-by-step instructions to follow. This makes it easy for anyone to test it out. It isn’t complicated, and it’s effective. It has real celebrity cred, too. The author, Dawn Sylvia-Stasiewicz, trained Bo Obama! You’re getting the same advice about dogs that a senior head of state received. It’s posh and top of the line. As soon as you pick out your puppy, pick up this book. It might be even more valuable to those involved in dog rescue efforts. You can teach old dogs new tricks and rehabilitate them. This book will help show you how. If you want to work well with a human, it helps to understand them a little, don’t you think? 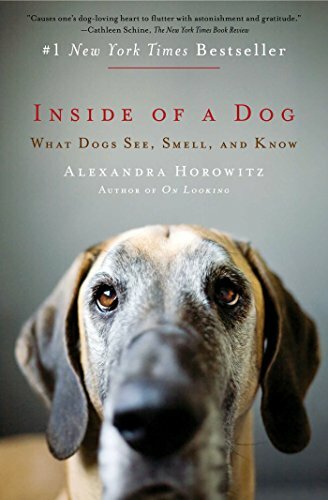 Through scientific explanations that are easy for regular people to understand, the author sheds light on how dogs see the world. This affects how they think and respond to you. To keep things interesting, Horowitz tosses in some personal stories about her dogs. This really helps readers connect with this book. That’s a good thing, because we’re gaining a lot more knowledge about dogs in the process. You and your dog share the same world, but you don’t look at it in the same way. When we step outside our preconceived perceptions and consider how our dogs feel and think about life with us, we’re so much better able to get through to them about complex issues like why we can’t drag our rumps all over the carpet. Clicker training is a dog training method that involves bridging that communication gap. It is a reward based system that does rely on treats, at least at first, but over time you can phase them out. The small sound of the clicker signals to your dog that they’ve performed well. It takes some of the language gap out of training dogs. It’s simple to learn and use, but consistency is really the key. 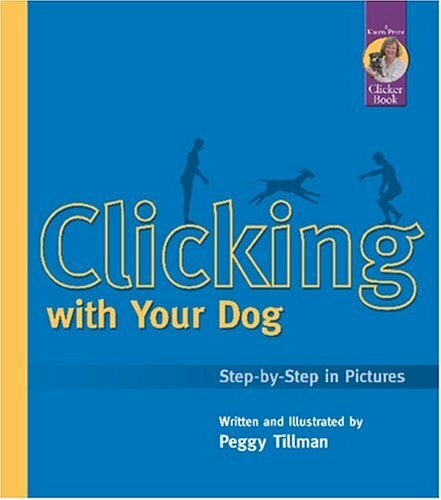 Karen Pryor is one of the foremost authorities on clicker training, and books that come out under her publishing umbrella are a great place to start if you want to clicker train your dog. The other good news is you can pick up a clicker for a couple of dollars, so this is a very economical way to train your dog as well. This type of training is best for people who want to teach their dog elaborate tricks and for those who don’t really know where to start with training. So, it occupies a strange space in the market where it’s ideal for total beginners and also that lady on the internet trying to teach her collie to ride a bike. I think step-by-step advice guides are great, but what I value most is learning about a topic and then using my own personality and common sense to apply it. 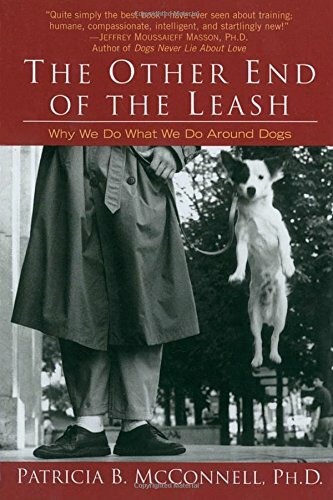 Therefore, this is another ‘why’ type of book that delves into canine behavior and also contrasts it against our own primate behavior. 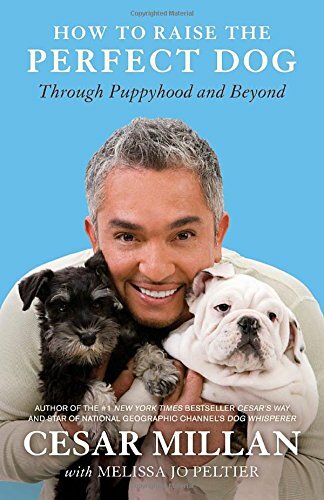 Essentially, this book strengthens the bridge we all seek to build with our dogs to help us communicate on their level and inspire them to communicate with us. It’s also fun to think like a dog, and this book inspires that, too. Just don’t start chasing the mailman. Is it officially too old for that joke at this point? Regardless of my questionable sense of humor, this book is worth having! 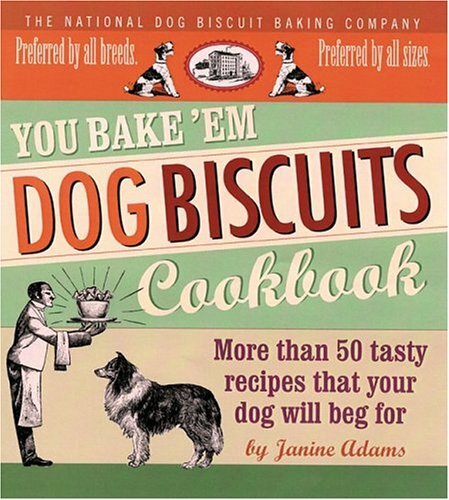 I think it’s incredible fun to cook for my pets and this book is full of dog recipes. Think of the adorable afternoons you can have with your dog, treating them just like the fid (fur-kid) you know they are and making a special meal. You can also use this book to make adorable dog treat gifts for your friends with dogs! These treats are perfect for celebrating gotcha days, birthdays, Christmas, Thanksgiving, Valentine’s Day… any occasion. I love having this one around in my kitchen. There are 50 recipes inside, which could be all you ever need to have plenty of fun cooking with your dog. In fact, wouldn’t it be fun to set up a play date with your other dog owning friends and bake a batch of cookies while the dogs play? The mere thought is so cute I could die. If you do this, please send photos. Worship at the altar of dogs? 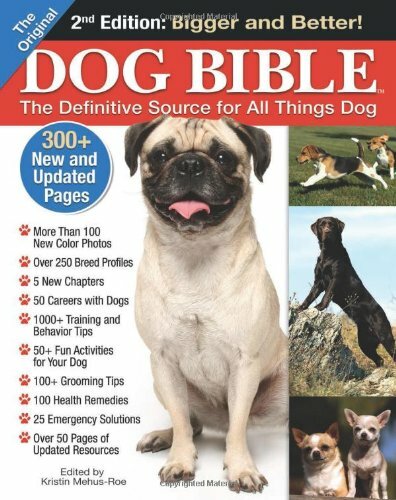 You need a Dog Bible! Kidding aside, this is a massive resource book packed with information. We do live in the internet age, so perhaps this kind of reference guide isn’t as useful as it once was. What I like about having an authority source is that I can check information against it. Not every source online is as dedicated to bringing readers accurate information like we are here. It’s a sad truth of the internet. There is no shortage of information, but much of the time it all traces back to the same source or doesn’t clearly reflect the intent of the original information. So go ahead and Google to your heart’s content about your dog, but pull out a book or two, like this one, to check what you’ve learned. A huge bonus this book offers readers is a breed-specific guide for over 200 dog breeds. That in itself makes it one of the most comprehensive dog breed books you’ll find under one cover. You may find your friends and family call you up to learn about their dog. With this book in your collection, you’re like a dog library. 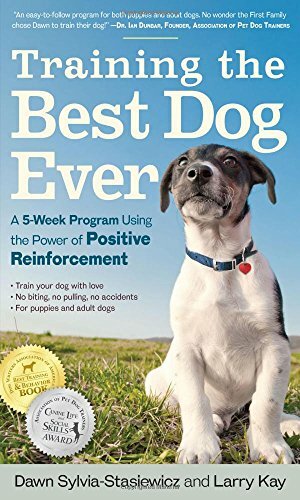 Here is another dog behavior book to add to the list, but it’s one with a twist. The author really loves dogs, you guys. 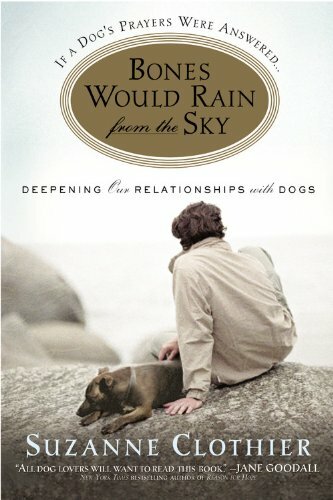 That gives her a unique perspective to complement some of the other dog psychology and behavior books I recommend in this list. If you want to really get inside the mind of your dog, this is another source to consider. By the time you’re finished reading it, you’ll no doubt feel a closer bond to your dog. You’ll understand why he can’t stop chewing your shoes and sometimes that’s essential for correcting behavior in a way that works. This is a very touchy-feely sort of book, so if that isn’t your cup of tea, you may want to skip this one. It makes a wonderful gift for any dog owner, however, and I think you should give it a shot. It’s important to look at things from a different perspective because you never know when you might gain knowledge that you can put to good use. Your dog spends lots of time trying to figure you out, so return the favor. This book is everything. The New Yorker always showcases some of the world’s very best writers and liberally uses humor to get the point across. As a result, this book is a wonderful mix up of dog culture, humor, poems, training, and basically anything dog related. Also, doesn’t the cover remind you a bit of Clifford The Big Red Dog? I feel 7 years old all over again just looking at it. This is a book you should own if you’re super into dogs. 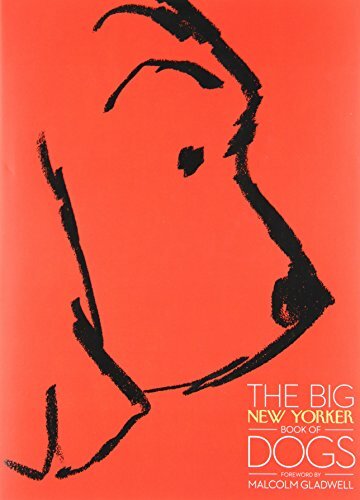 It’s a wonderful gift for any dog loving writers you know (no worries, I already have a copy), fans of the New Yorker who love dogs, and anyone with a fanciful personality who can’t get enough of canine interaction. For you writing nerds out there, contributors include: John Cheever, Susan Orlean, Roddy Doyle, Ian Frazier, Arthur Miller, John Updike, Roald Dahl, E. B. White, A. J. Liebling, Alexandra Fuller, Jerome Groopman, Jeffrey Toobin, T. Coraghessan Boyle, Ogden Nash, Donald Barthelme, Jonathan Lethem, Mark Strand, Anne Sexton, and Cathleen Schine. Speaking of photos, this book is a conversation starter, a fantastic coffee table book, and a really good time overall. Don’t pretend you don’t spend hours looking at dog photos online. This book is full of unusual and incredibly high-quality dog pictures that you won’t see in a listicle. This book is especially perfect for anyone who enjoys photography or counts it as one of their hobbies. It’s also a big hit for people who share their lives with labs and other water loving breeds. One look at the cover is really all you need to see to know this belongs in your collection. Cuteness off the charts! Who knew that dogs make even funnier facial expressions in the water than they do the rest of the time we spend with them. If you’re not crying before you’re done reading the blurb on the author’s page, you’re a stronger person than me! This book is so raw, so deep, so touching, that I had to include it here. 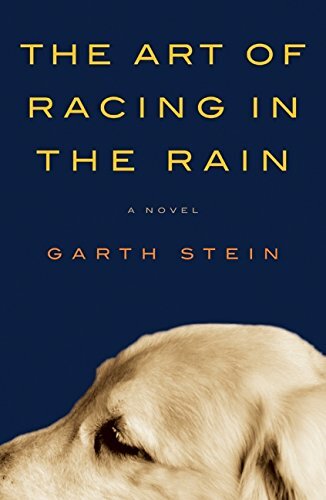 Yes, it’s a novel, but it speaks to dog lovers on an inner level. I think it belongs on the essential dog reading list. This is also a motivational book in many ways. I’m not giving much away, but as you go through Enzo’s story with him, there are many lessons to take to heart. I really can’t say enough about how I feel about this one- it’s absolutely enchanting and you will get absorbed in the storyline. It’s the kind of story you want to share with your children, best friends, loved ones, and the lady you stood next to in the grocery store this morning. I think you should scoop up all of the books on this list, but I am certain there is at least something here for you. Bookmark this article and start checking the titles off one by one. You could even start an actual book club with your friends. Dogs welcome! As you continue to immerse yourself in all things dog, your friends and family may show some concern. They may call you ‘obsessed’ or tease you. You’ll know in your heart that you are doing the right thing. You’re doing everything you can to give your dog the best possible life. The love we share with our dogs is uplifting and inspiring. I encourage you to shush your friends politely and keep scanning your Kindle. They should be so lucky as to have a dog companion like yours. Why not give one of these special books to a young person in your life that loves your dog? Learning about animals is a wonderful way to nurture compassion and start to positively impact the life of dogs in today’s society. Plus, there are dog pictures, and everyone loves that.